Being an October release, it came as no surprise that Super Mario Party wouldn’t make an appearance as one of Nintendo’s Top 10 best-selling Nintendo Switch games, but as part of the financial results briefing, it was revealed the new release did in fact sell through 1.5 million units on a global scale. Nintendo are also confident that sales numbers will continue and that the game will be able to urge consumers to purchase a Switch if they haven’t yet. “October 5 marked the global release of Super Mario Party, the latest installment in the Mario Party series. The good evaluations by consumers have been borne out by the recent sell-through. Global sell-through has exceeded 1.5 million units following its release on October 5. 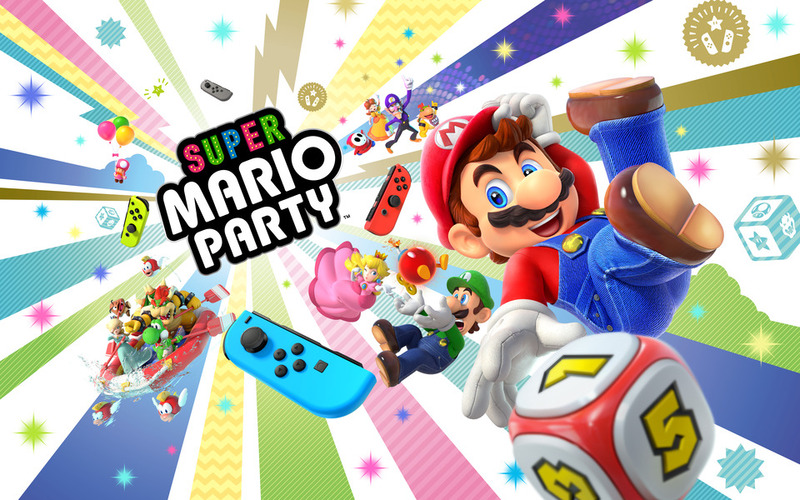 Super Mario Party had an extremely strong start compared to other installments in the series and has built up momentum ahead of the holiday season. We are also seeing an increase in Joy-Con sell-through with the release of this title. Are you surprised by the immediate success? Let us know!